Philadelphia City Hall from the Parkway. Philadelphia earned high praise in a recent study on how American cities use technology to serve the public. 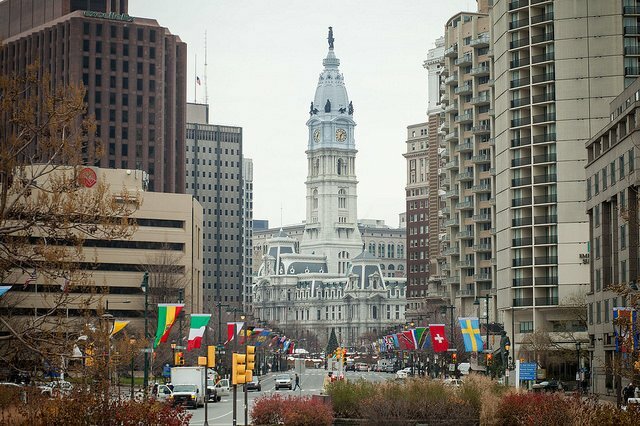 The Center for Digital Government (CDG) ranked Philly second among U.S. cities with populations of at least 500,000 people in its 15h annual Digital Cities Survey on Thursday. Los Angeles landed the top spot on the list. Cities were judged on a variety of criteria, including open data initiatives, commitment to digital infrastructure, mobile-friendly development, and innovation. The City of Brotherly Love was boosted by the newly-established Office of Open Data and Digital Transformation (ODDT) under Mayor Jim Kenney. In May, the ODDT was formed to help departments publish data and create digital services to serve citizens. Former Mayor Michael Nutter first launched the city's open data initiative in 2011. The CDG also lauded the city's website redesign, data visualization tools, and efforts to grow digital literacy. “I’m enormously proud of the ODDT team for the tremendous progress we’ve made in 2016,” said Rebecca Rhynhart, the city's chief administrative officer. According to the 2010 Census, 33 cities had populations of more than 500,000. Phoenix, Charlotte and Seattle rounded out the top five.